I had a bad read on the Eagles last week and ended up 0-2 (-2.1U), which puts me at +4.3U for the season. I need to have a big week here and I’m going to be betting on three teasers. The best site to bet on NFL teasers is BetOnline, as they offer a wide range of teasers and a huge $1000 sign-up bonus for new bettors. Players will also receive reload bonuses for life. The Eagles (7-3) cost me last week, but I’m going back to the well with them. The Titans (2-8) are allowing 143.5 RYPG (31st). McCoy and Sproles should put up big numbers on the ground at home. Tennessee’s offense isn’t going to be able to keep up with the Eagles attack. This is a great spot for Philly to bounce back after a blowout loss at Lambeau. Don’t over think this match-up. The Patriots (8-2) are flying high right now, but this is a huge spread to cover, especially when you’re playing the #1 defense in the NFL. 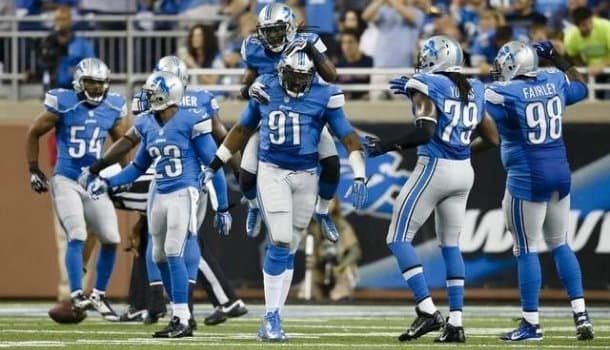 The Lions (7-3) are only allowing teams to score 15.6 PPG (1st). 85% of the action is on the Patriots to cover the –7 point spread and that’s usually trouble. Teasing this game up is the best bet, as the Lions have the talent to not only cover, but also win this game. Green Bay (7-3) already beat the Vikings (4-6) 42-10 at Lambeau this season. They’re on the road this week, but that won’t matter. The Packers are rolling right now and will crush the Vikings. I expect both teams to try and run the football in this match-up, but I have to give the edge to GB and Eddie Lacy. The Vikings are allowing 115.3 RYPG (21st) and Lacy will run all over them. I’m a little surprised that the Cardinals (9-1) are getting more action this week than the Seahawks (6-4) even though the spread is big. Carson Palmer is out for Arizona and Stanton is in at QB. Seattle has a huge opportunity to gain some ground in the NFC West with a home win. They’re going to be pumped up for this game and so will the fans. They’ll feast on Stanton and easily win this one. Washington (3-7) was dominated by TB last week, which surprised me. San Francisco (6-4) has won two in a row and is fighting for position in a very tight race in the NFC West this season. They can’t afford to take any game lightly if they want to make the playoffs. This is a must-win game for the 49ers. Look for the SF defense to force turnovers and give Kaepernick short fields. I like the schedule this week and I expect the Packers, Seahawks and 49ers to all easily win. I’m going to bet 2U on the teaser for the first time this season. I’ve also gone with a 5-teamer at good odds. Both teasers are 6-point teasers and available at BetOnline. Good luck to everyone this week!